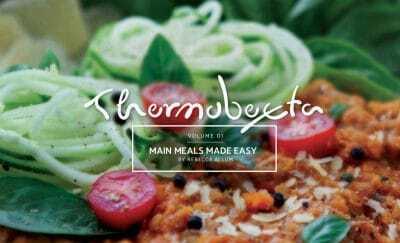 Thermobexta Main Meals Made Easy contains 22 thermal cooker recipes that are healthy and easy to make yet sure to impress. 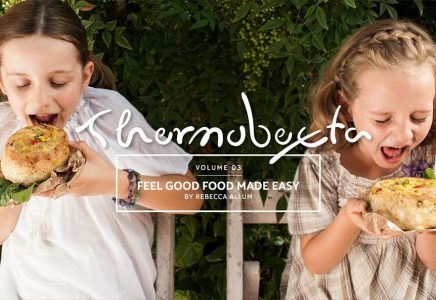 Make meal time more enjoyable with this beautiful cookbook, filled with recipes that you and your family are sure to love! 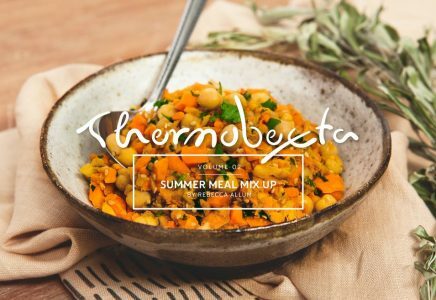 Thermobexta’s Main Meals Made Easy contains 22 thermal cooker recipes that are healthy and easy to make yet sure to impress. 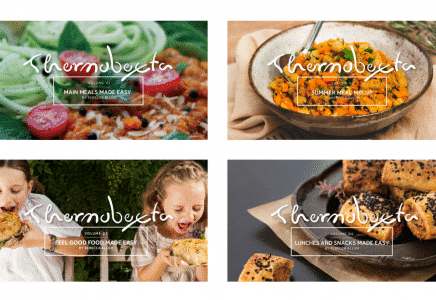 Make meal time more enjoyable with this beautiful cookbook, filled with recipes that you and your family are sure to love! 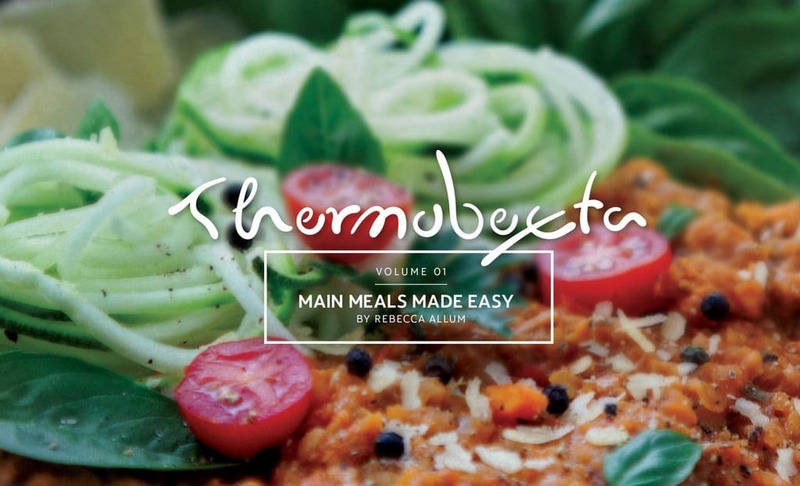 This purchase includes a hard copy plus a free digital copy of Main Meals Made Easy. Love the recipes in this book. They are easy to follow and have suggestions for variations. Filled with beautiful pictures and lay out of the book is fantastic. easily my favourite recipe book, I use it constantly. 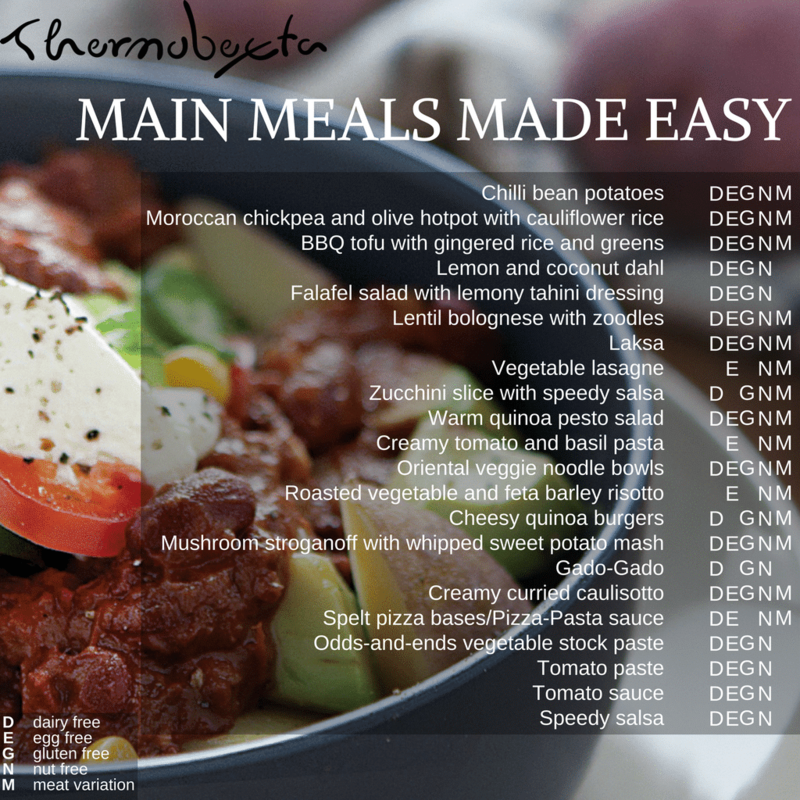 Brilliant for healthy tasty and quick meals. This book is amazing. I think I have now cooked everything in the book – most over 3 times at least. 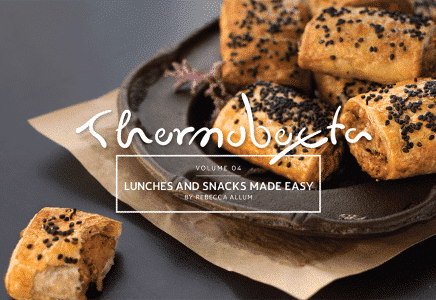 It was responsible for making me fall in love with my thermomix. Thanks Bec.